Wingate Wilderness Therapy is a one of the nation’s top Therapy Programs for Troubled Teens — helping teens confront a number of enigmatic behavioral and mental health issues. There are a number of different treatment options for troubled teens who are facing any of a number of different behavioral and mental health challenges, and it is important for the parents of these troubled teens to facilitate their treatment and recovery by choosing a program that is best suited for their particular issues. Whether a troubled teen is struggling with addiction, substance abuse, or behavioral issues, a unique program that focuses on helping them effectively confront those issues will have an immense impact on the success of their recovery. Wilderness Therapy, like the programs offered at Wingate, provides the serene and secure environment that is so essential to the success of treatment and recovery for troubled teens. Wilderness therapy is considered a subset of adventure therapy. It takes place in a natural setting, using expeditions in the wilderness as a part of the treatment mechanism that provides therapeutic intervention for a number of issues, including addiction, mental health disorders, and behavioral issues. 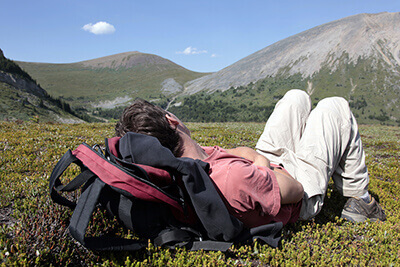 According to information provided by Addictions.com, wilderness therapy has numerous benefits for troubled teens who may be struggling with some very problematic issues, and it has proven immensely useful for teens who have exhausted a number of other options to no avail. Despite the open environment, wilderness therapy is highly structured and managed by staff that are experienced in the process of helping troubled teens confront those challenging obstacles that are in front of them. The open and tranquil environment of the wilderness is an extraordinarily powerful instrument in getting youth to open up, and it provides the security and anonymity that offers a sense of safety. Our consultants at Wingate Wilderness Therapy are available to help parents of troubled teens to find the treatment program that is best suited to their particular situation. Call (800) 560-1599 today! When a parent is dealing with a troubled teen that is struggling with any of a number of problematic issues, including substance abuse, addiction or behavioral issues, it can be quite the challenge to find a program that will prove efficacious in facilitating treatment and a full recovery. While there are abundant treatment modalities, one type of therapy that has proven to be highly effective is wilderness therapy like the therapeutic programs offered at Wingate Wilderness Therapy. Wingate offers an open, yet structured, therapeutic program that is designed to provide the security and comfort necessary to support treatment and recovery for troubled teens. While no program will be ideal for every situation, Wilderness therapy, which is a subset of adventure therapy, offers a secure and fun environment for troubled teens to confront the enigmatic issues that can be difficult to overcome. According to a study published by Utah State University, wilderness therapy has the capacity to help teens effectively engage behavioral issues, addiction and a number of other challenges that are common with troubled teens. Any treatment program begins with the staff and their capacity to effectively engage the needs of troubled teens who have been placed in their care. With programs like those offered at Wingate, troubled teens will find themselves in the care of professionals who are sensitive to their specific needs and skilled in the disciplines that are necessary to treat those conditions. The structure of a program is important as well. Many teens find it to be immensely difficult to function in a non-structured environment; therefore, they feel safer when that are engaged in a structured and safe environment. Wilderness therapy is increasingly becoming the option that parents are choosing for their troubled teens. Dealing with troubled teens who are struggling with substance abuse, addiction, or a number of behavioral issues can be a significant challenge for parents. Finding a treatment program that will help to expedite and sustain recovery is essential for long-term success in overcoming these issues. Wingate is a therapeutic program provider that specializes in wilderness therapy, offering troubled teens a safe and structured environment that is also fun. Wilderness therapy programs have proven to be quite effective in helping teens confront their issues in an environment that is both structured and supportive. There are various different methodologies that are used to effectively treat the problematic issues with which many troubled teens suffer. What makes wilderness therapy so distinct from other treatment modalities is the uniqueness of the environment. While teens get to confront their issues, they also get to explore nature, which has been proven to be one of the most potent natural tranquilizers in the world, proving highly effective for troubled teens who are struggling with issues such as anger and acting out. While other treatment methods, such as residential treatment therapy, have proven to be extremely effective, Wilderness Therapy has proven to be immensely effective in treating youth with a more recalcitrant mindset. Wilderness therapy has been shown to be pivotal in the treatment of various issues, with the most common benefit being an increase in self-confidence, which is essential to developing a positive self-image. Our consultants at Wingate Wilderness Therapy are available to assist parents of troubled teens in determining which treatment program will be best for their teen. Call (800) 560-1599 today! National Association of Mental Health Planning & Advisory Councils (NAMHPAC) - As a non-profit organization with a national membership, NAMHPAC provides support, policy assistance and development, resources and products and technical assistance to state-based mental health planning and advisory councils. The membership includes many representatives who serve on mental health planning councils in many states and territories.